Pluto and Charon: New Horizons LOng Range Reconnaissance Imager (LORRI) composite image showing the detection of Pluto’s largest moon, Charon, cleanly separated from Pluto itself. The frame on the left is an average of six different LORRI images, each taken with an exposure time of 0.1 second. 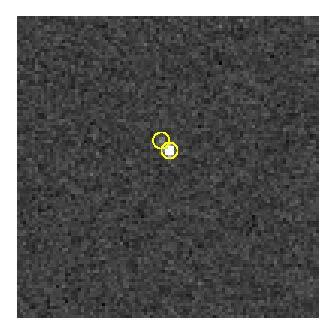 The frame to the right is the same composite image but with Pluto and Charon circled; Pluto is the brighter object near the center and Charon is the fainter object near its 11 o’clock position. The circles also denote the predicted locations of the objects, showing that Charon is where the team expects it to be, relative to Pluto. No other Pluto system objects are seen in these images. 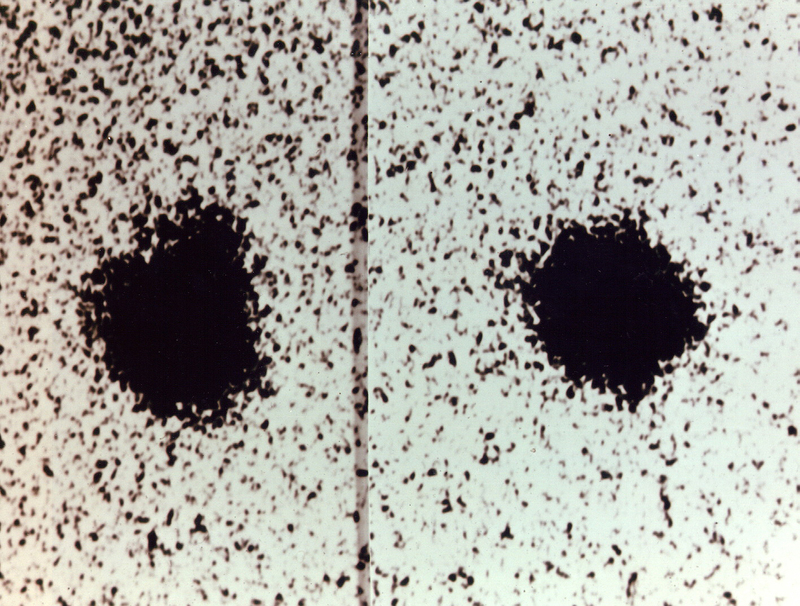 discovery images (right), taken with the 1.55-meter (61-inch) Kaj Strand Astrometric Reflector at the U.S. Naval Observatory’s Flagstaff Station in 1978. More than three decades later, Charon is visible for the first time in pictures (left) taken by the Pluto-bound New Horizons spacecraft.